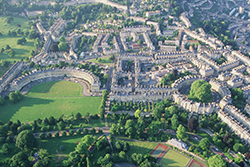 Located just a short stroll from Bath Abbey and the Roman Baths and a two to three minute walk away from the Bath Spa railway station, Abbey Mews provides the perfect self-catering holiday cottage accommodation for your special stay in Bath. 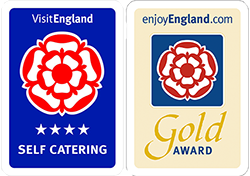 Awarded a special ‘Gold’ by VisitEngland – Quality in Tourism for 2018 / 19, you could not find a better self-catering holiday home to rent in Bath. Now available as an exclusive use holiday rental after recent extensive renovations, Abbey Mews combines Georgian elegance with modern luxury. Ideal for families, friends and small groups, Abbey Mews has 4 double bedrooms (with a choice of either twin beds or double beds) and sleeps up to 8 persons in comfort. There is also an additional sofa bed in the Drawing Room and a small ‘z’ bed if you are wanting to squeeze in the extras. This very special Townhouse promises you privacy, exclusivity and independence during your stay in this World Heritage City. ‘Had a wonderful girlie weekend. House was very clean and comfortable. Super beds. ‘ I had to write and tell you how much my family LOVED staying at Abbey Mews. The house was just so beautiful and it had all the amenities we like – the dishwasher, two bathrooms as well as the very-much-used clothes washer and dryer. ‘Gorge House, close to everything. 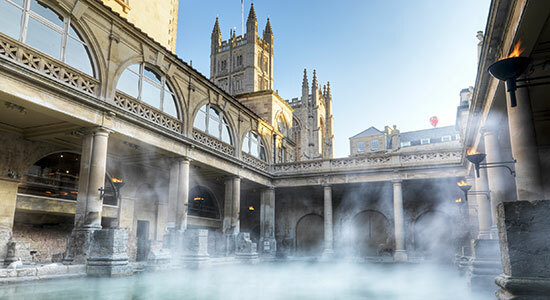 ‘Amazing – perfect for a hen do! Couldn’t have wanted for more. great location and only 30 sec crawl from good pubs, shops and sites.